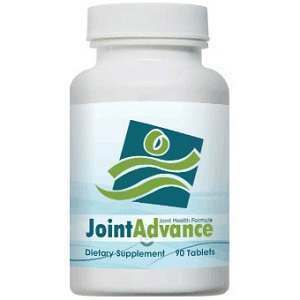 One of the best supplements for joint health is called Joint Advance. This product aims to protect your joints from the consequences of working and playing hard. Along with other products that we have reviewed, we have chosen Joint Advance because most of its ingredients come from Mother Nature herself and is also based on scientific research which gives the consumers a good idea of its quality. While not all-natural, most of the ingredients used to make this supplement are mostly herbal components, and are listed below. The product is in the form of tablets. Best results are attained when taken three times a day, which is one in the morning, one in the afternoon, and one at night. Children under the age of 18 should not use this product. The manufacturers have not mentioned any potential contraindications when taking this product. Bases on the clients’ testimonials, there have been no reported side-effects from taking this product. Some ingredients are derived from seafood so that is listed in allergen information. Other than that, there have been no reported undesired reactions. According to our sources, Joint Advance is now priced at $39.99 a bottle containing 90 tablets which is good for a month’s consumption. They also offer free shipping service for all orders. Included in a potential client’s order are two free gifts that include The Joint Protection Diet Guide and free lifetime membership access to their results-based online fitness program. The manufacturers have offered a 90-day return policy if clients do not meet the desired effects or if other problems have occurred. According to clients’ reviews, they have been mostly positive and they are thankful of the additional incentives that come along with purchasing the said product. Also, clients are happy with the shipping service since it is fast. The 90-day guarantee is a very important aspect in buying items online because not all supplements suit a person’s needs and a client may not be satisfied with the product, so the 90-day guarantee ensures that the client’s needs may be met and problems or concerns can be addressed. Also, the incentives that come along with the product are quite helpful to those who really wish to have healthy joints because it is also a very important health issue that needs to be addressed when there is a problem. We like the ingredients included in this product but feel that they could have easily been strengthened with Turmeric and Holy Basil among other things. The potency of the active ingredients is not optimal and if a sufferer is battling more than the average joint pain, it is best to look for something with more total-care, addressing causal factors of bad joints as well as dealing with associated symptoms such as swelling stiffness and pain. Mark Stevens	reviewed Joint Advance	on April 30th	 and gave it a rating of 4.